ONE OF A KIND LUXURY MANSION ESTATE. ​16,000 SF, highly secured estate on 80+ acres, located on top of a mountain in the bucolic region of Northeastern Pennsylvania. This extremely well-planned and highly detailed estate, was designed for peace and tranquilly. *No Expense was Spared*. Each square foot was meticulously predetermined throughout the *24-month design stage* and it took *4.5 years* to build, at a cost of OVER $24,000,000.00. Situated on top of Positive high energy meridian fields and distanced from metropolitan areas, the feeling of quietude instantaneously greets you upon arrival. 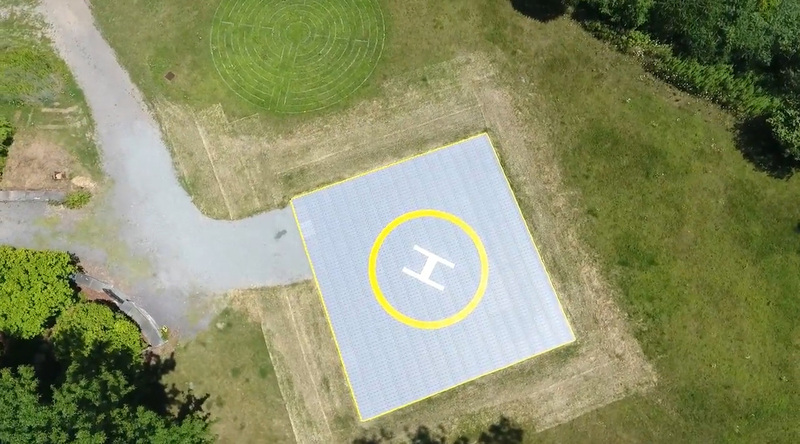 Your very own 50-ft X 50-ft, private Helicopter Landing Pad for all Makes of Helicopters, including *S-76 SIKORSKY and Like Kind, and just a 55-minute flight from Manhattan. The affluent village of Waverly is just a five-minute drive with nearby enclaves offer a variety in upscale dining. The estate also offers private catering facilities plus the top-rated ski resort is a short 20-minute drive. *And Utmost Unique Infinity pool with pool house*. The property is intended for those that appreciate the utmost in privacy, detailed Craftsmanship, Spirituality, Tranquility, and offers every imaginable amenity. Helicopter Flying Time and distance from Manhattan is 55 minutes, about 95 Nautical Miles. ​For an Elaborated Detailed Information! On the Left Side of the Home Page. View Aerial Video of Harmony Mountain Estate Mansion. ​50 X 50 Professional Build.